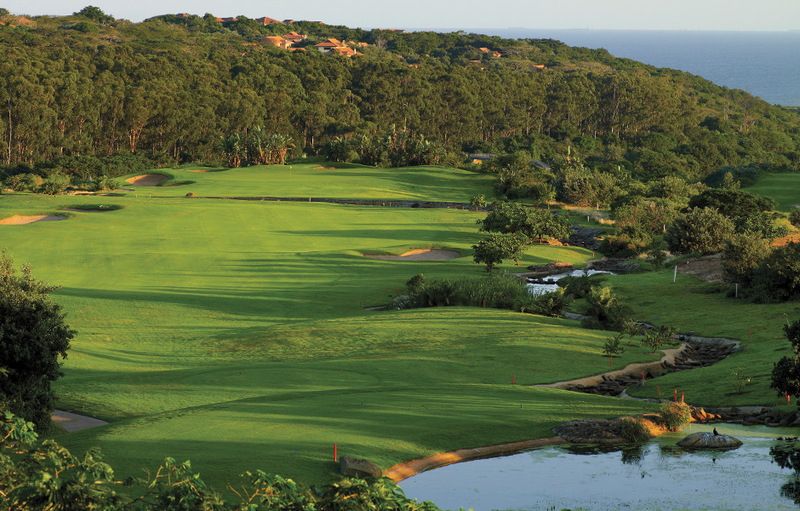 As the cool coastal breezes roll off the Indian Ocean, Zimbali Golf Course stands out like the brightest jewel on a Maharaja’s crown. Her vivid emerald fairways and sapphire lakes are embraced by lush coastal forest on one side and breathtaking seascapes on the other. 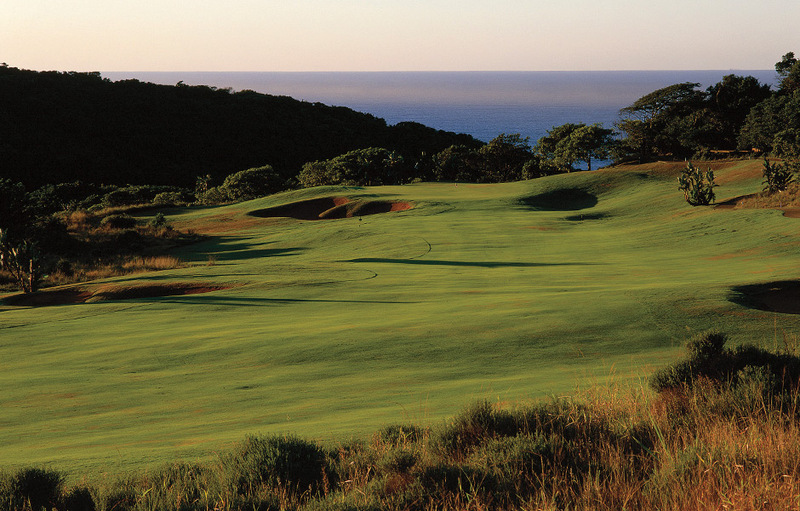 Zimbali Country Club unfolds across the inspiring natural landscape of the Kwa-Zulu Natal North Coast. The course was designed by internationally renowned golf course designer and former British and South Africa PGA Champion, Tom Weiskopf, who was mandated to ensure that conservation took precedence on the beautiful but challenging site. The result was a prestigious “cart only” course with dramatic elevation changes, varying eco-systems and substantial residential sections. Weiskopf’s aim was to present a fair challenge for any level of play and true to form; the course will reward good shots and punish the bad ones. 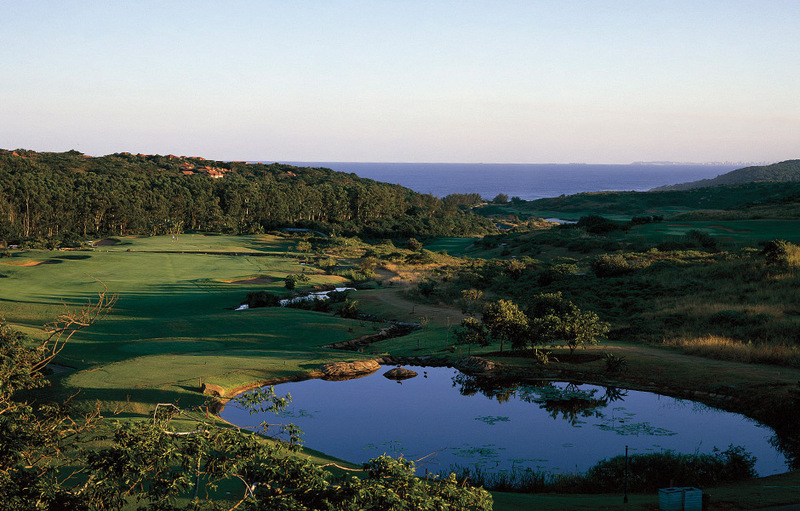 Adjustments have been made to Zimbali’s golf course over the years. The landing areas are wider and there is improved definition from tee positions. 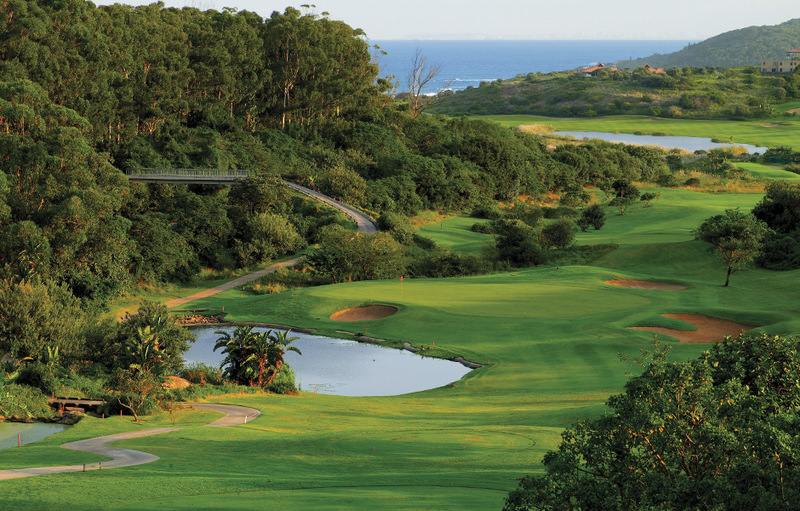 In 2012 Golf Digest ranked Zimbali Country Club as the 20th Best Conditioned Course in South Africa and put her at number 25 in their Top 100. At Zimbali Country Club you’ll find that most of the tees are elevated, on the sides of the hills or sand dunes while the fairways sweep across the valley floor. The greens are often hidden from of sight by the hilly terrain which adds to the excitement and makes things more challenging. 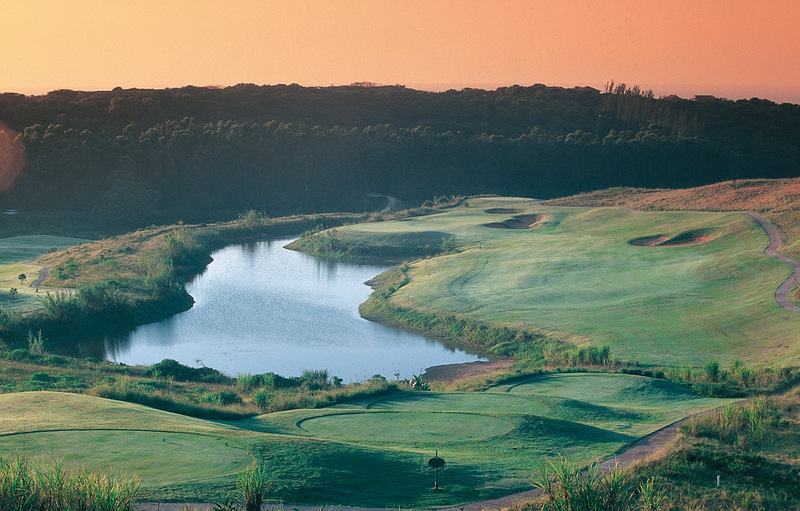 While the initial stages give a coastal links feel you’ll soon find yourself playing on rough, rolling wetlands before you finish up your round in the Zimbali coastal forest. The scenery is inspiring on the par-four 2nd hole with water running up the left side of the course. Keeping to the middle of the fairway and the green is advisable on this hole. Looks can be deceiving on the par-three 5th hole as it is on a steep downhill slope to the water backed green. While the bunker hugs the right-hand side of the green, the danger is on the left. The elevated 11th hole is another tricky par-three, particularly when it comes to club selection. Water guards against anything left and short so stick to the right side of the green. The best views happen on the par-four 18th, where thick bush and a string of bunkers guard the left side. Favour the right side of the green on approach but remember to keep your head down as the sparkling Indian Ocean mesmerises you from behind the flag. Styled in an African Classical theme, with beautifully hand-crafted decor, fittings and furnishings, the clubhouse is the perfect place to relax and unwind after a challenging day on the course. 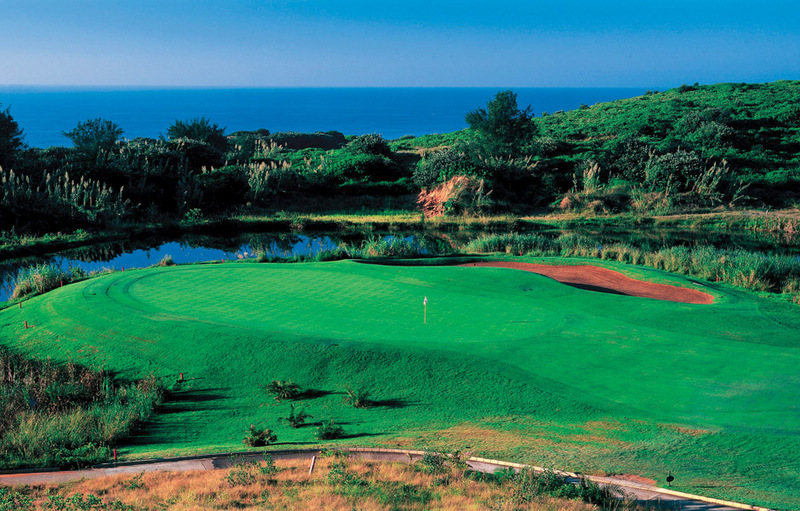 There are unparalleled views of the emerald course all the way through to the deep blue Indian Ocean. Attention to detail is what sets Zimbali Country Club apart and it shows in everything from the friendly and impeccable service to the plush cloakrooms and sublime menu on offer to visitors at the Crowned Eagle Restaurant. The Pro Shop will cater to all your needs and the practice facilities including putting greens, a driving range, tennis courts, bar and lounge facilities are of the highest standards. After visiting for the day, you can understand clearly, why Compleat Golfer awarded it the prestigious 5-Star Golf Experience accolade.